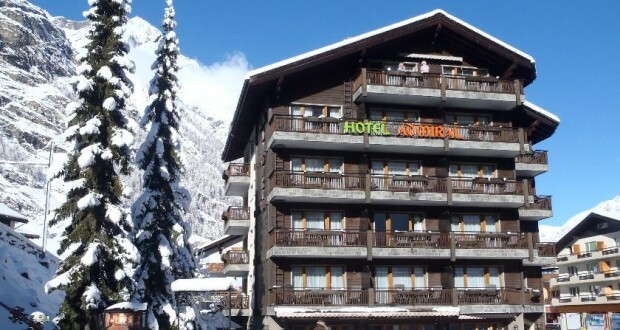 The Hotel Admiral is located just a short walk from Zermatt’s train station and is also close to the valley station of the Sunnegga Express. The Matterhorn Express cable car and the Gornergrat Monte Rosa train can be reached easily by the electric bus. The stop is located right in front of the Admiral hotel. All rooms feature an LCD TV, free wireless internet access and all double rooms have a balcony. After a grand day out in the fresh mountain air the wellness area with a sauna, a steam bath and whirlpools invites you to unwind.